The silhouette of the Bubble club sofa by Kartell is familiar but the material is modern: the sofa is made entirely of plastic. 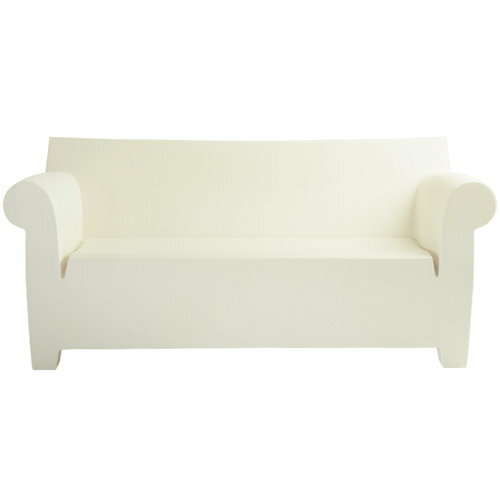 Bubble Club is a roomy, minimalistic 2-seater with rounded armrests. The lines of the backrest are more rational. Bubble Club is perfect for outdoor use, in the gardens or terraces.